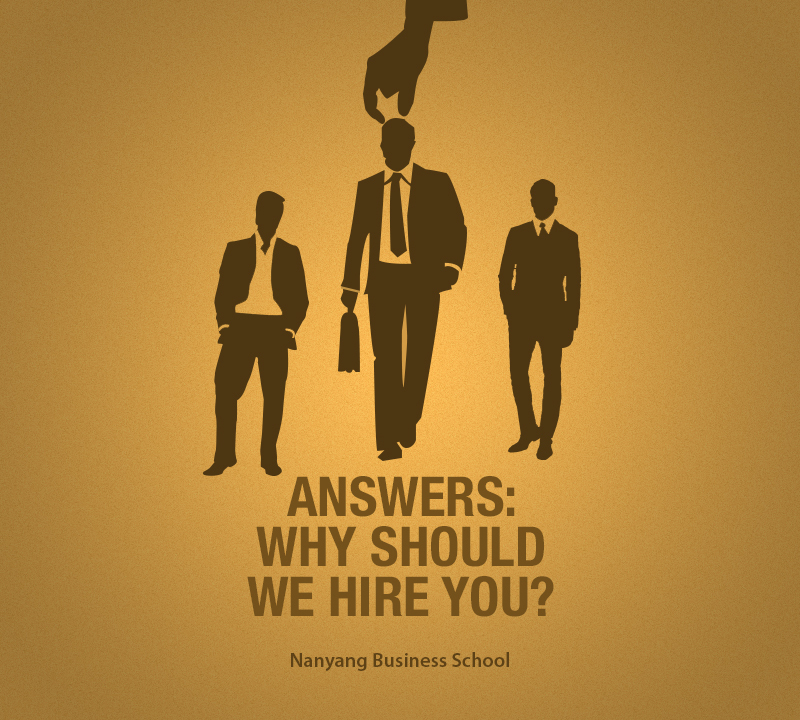 Answers: Why Should We Hire You? 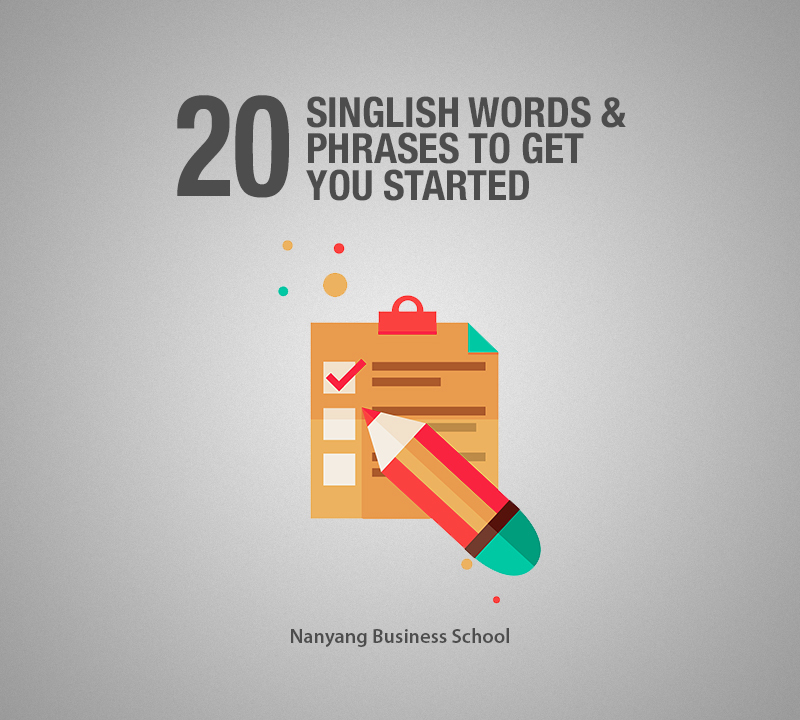 Here’s how you can get the perfect answer ready. When interviewers ask you why they should hire you, they are asking you to tell them what you can do for them. They also want to know how you can make a difference in their organisation – compared to the other candidates. So this is your opportunity to pitch yourself again. Don’t give them a list of your accomplishments at work or in school. Instead, spend time on research so that you know what they expect from the role you are interviewing for. Ask yourself how your skills and background match up to those needs. Keep your answer positive. Do not mention what other applicants may or may not be able to do. Focus on yourself. Show them your enthusiasm. Let them see that you are excited about the possibility of working with them. Motivation and a keen interest will add to their interest in you. But don’t let them think that you desperately need the job. There is a thin line between showing interest and seeming like you need something badly. So work on the tone of your voice. Practice with a friend. Body language matters as well. Sit straight but lean forward once in a while. Smile, but don’t force yourself to smile throughout the interview. The key is to be polite and friendly without overdoing it. Why should we hire you? It is a broad question that can draw you into a long look back at your previous accomplishments. Still, you should not start talking about the essay competition you won in elementary school or the interschool spelling bee that you won back in 5th grade. Stick to what is relevant to the job in question. What skills, interests and experience do you have that can make you succeed in THIS role and at THIS organisation? And beware of the dangers of exaggeration. Answer with the truth because a background check or reference check could ruin things for you. Are you the person who colleagues approach when they need help with certain kinds of tasks? Or perhaps, you excel in a certain area like sales analysis or trend mapping. Tell the interviewer about this and give a couple of examples to demonstrate. This will let the prospective employer picture you at their setting, doing similar work. Most job descriptions mention what education qualifications applicants must have. 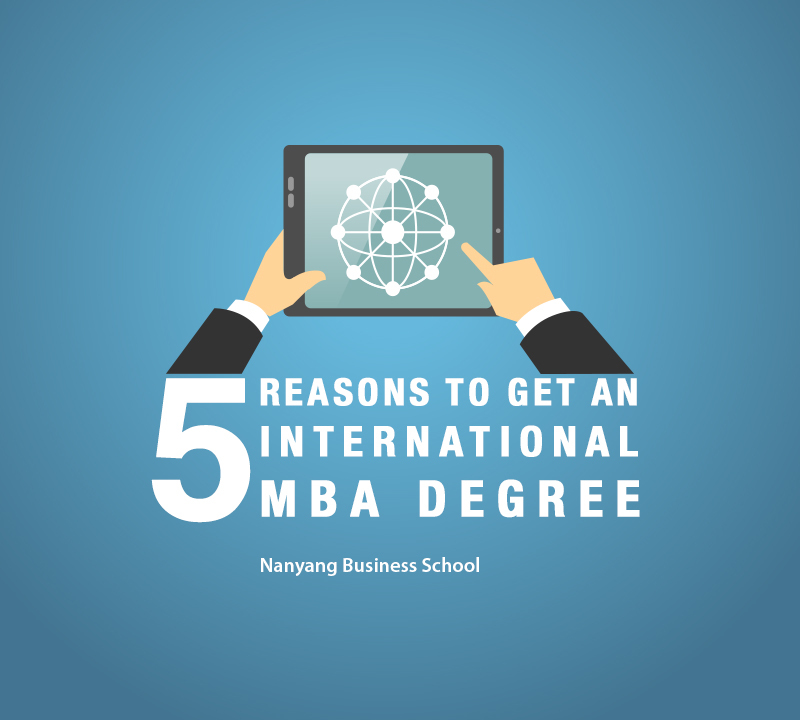 That basically means that you will not be the only aspirant with an MBA. You need to figure out how to make your degree stand out. Just mentioning the top ranked B-school will not be enough. 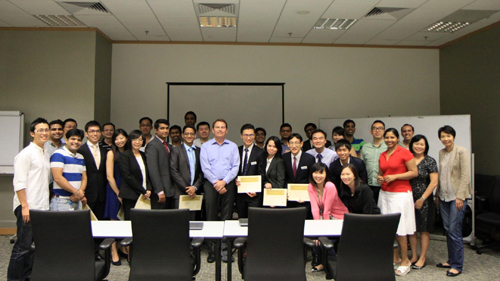 You’ll have to share examples of how you applied your newly learnt knowledge and skills to the business world. This is the chance to discuss your internship or that special project during the MBA programme. Highlight any prior work experience as well. Mention any role and organisation/s where your actions lead to results. Explain how you achieved it. You should hire me because I am a self-motivated person who likes to create an impact wherever he goes. In fact, in my role as (DESIGNATION) at (COMPANY), I was voted the most promising team player after my supervisor noticed my effort on the (PRODUCT) launch. And my internship supervisor at (COMPANY) appreciated my ideas so much that he asked me to present them to the senior executives there. Being prepared for the Why should we hire you question, and it will save you from the surprise and discomfort. Keep specific examples in mind and your abilities and background. Then link them to the interviewer’s company and its goals. On Tuesday, November 10, 2015, approximately 30 MBA students, professors, staff and international exchange students gathered on campus to celebrate Diwali, the biggest and brightest Hindi festival. As Diwali is the festival of lights, students lit a sea of candles, put up chains of lights and made the venue shine and sparkle. Upon finishing the decoration ceremony, the attendees were briefly introduced to the backgrounds of the Diwali festival and learnt about the saga that once initiated the celebration of Diwali, which spiritually signifies the victory of light over darkness and good over evil. 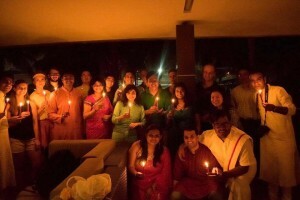 At the beginning of the event, the Indian students of the class demonstrated the Lakshmi puja, one of the important rituals performed during the festival of Diwali. 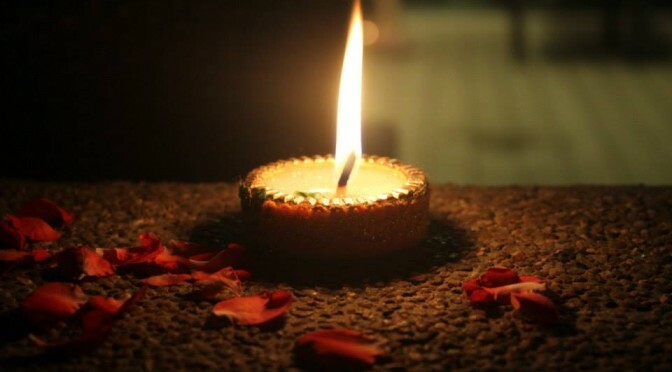 This ritual, performed to invite Goddess Lakshmi to one´s home, was carried out by praying at a beautifully laid out altar, as a silent beginning of an otherwise loud and exciting night. As per the Hindi tradition, the event organisers had prepared for a Rangoli contest, where the event participants competed in creating the most beautiful pattern of flowers and coloured sand. “We had a lot of fun getting to know Hindu culture and I was excited to get my hands dirty and create the best looking Rangoli”, a MBA participant said. The winners of the creativity contest were announced by a jury of indian students who awarded the lucky contestants with chocolate bars and a thundering applause. Later, an entertaining round of Tambola and the opening of a buffet loaded with an abundance of sweets, snacks and drinks made the Diwali night an unforgettable experience for all. 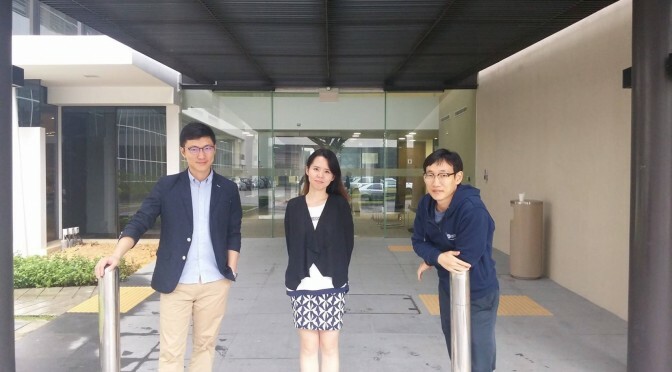 Contributed by MBA students: Kevin, Masa, Prashant, Ryo and Shreya. We had less than 10 days to prepare ourselves to present a case study on Netflix. The biggest question facing us was whether Netflix was yet another warfront for Art and Technology. 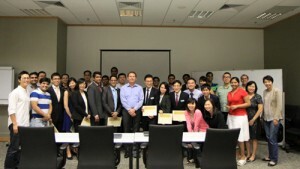 The MBA class at Nanyang Business School was completely determined to make Friday lectures interesting. We got full support from Professor Vijay Sethi for this. 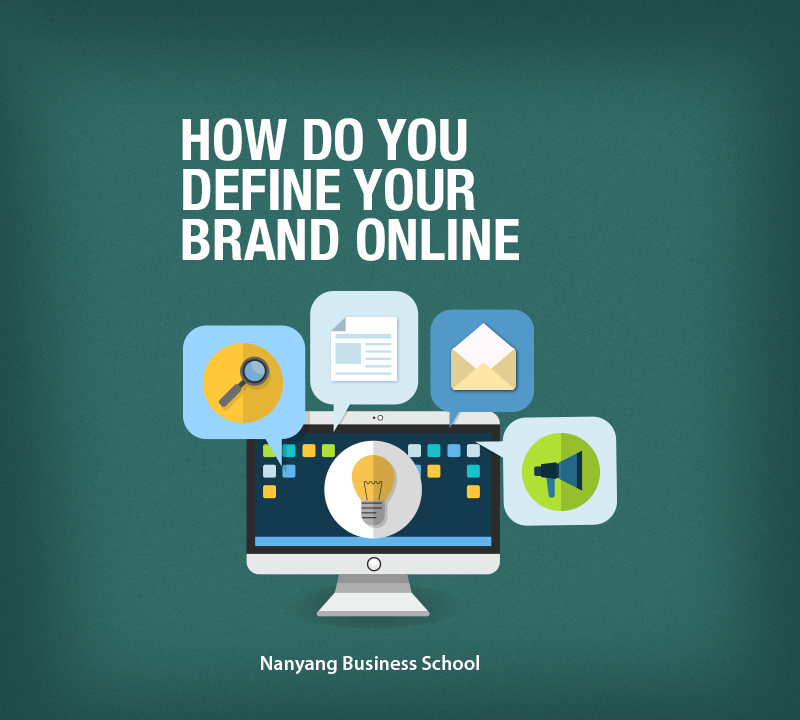 Hence, we started the chain of experimenting with ideas of making case presentations on companies such as Facebook, Google, Taobao etc as fun-filled as they were informative. With groups innovating with ideas such as group activities, fun surveys, role-playing, we were left wondering: what could we do with our idea? After a couple of brainstorming sessions, we decided to focus on the core question- Is Netflix as a business model, helping the art? We ended our presentation with our version of what Netflix could do next. 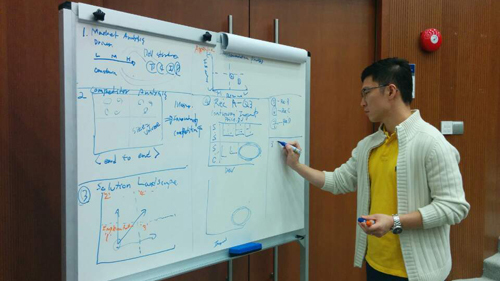 The group, we said, believed that the future lies in crowd-funded content generation. After a fun-filled presentation, we surprised the class with this video. This was a spoof of our markstrat course which was yet another source of adrenaline rush for us when the simulation results were announced every Friday at 8 PM. This is all a part of the experiential learning that the NBS focuses on. The encouragement from Prof Sethi to experiment with ideas and sportsmanship displayed by Prof Lewis helped us create this video. 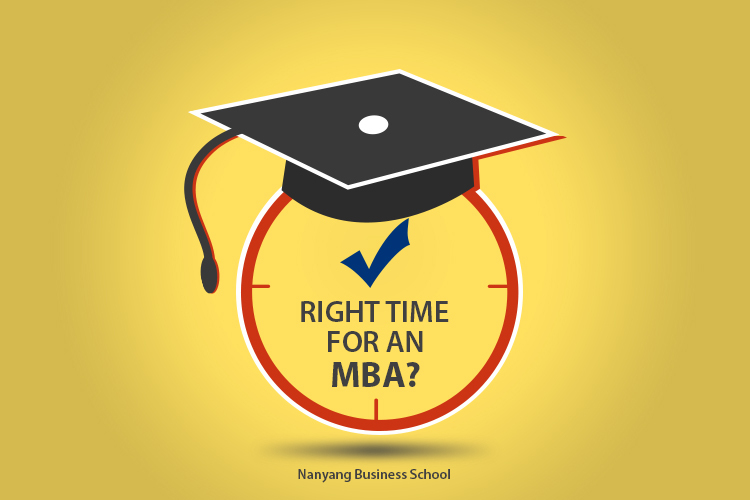 What you get out of your MBA depends a lot on how well you have prepared yourself for the study. 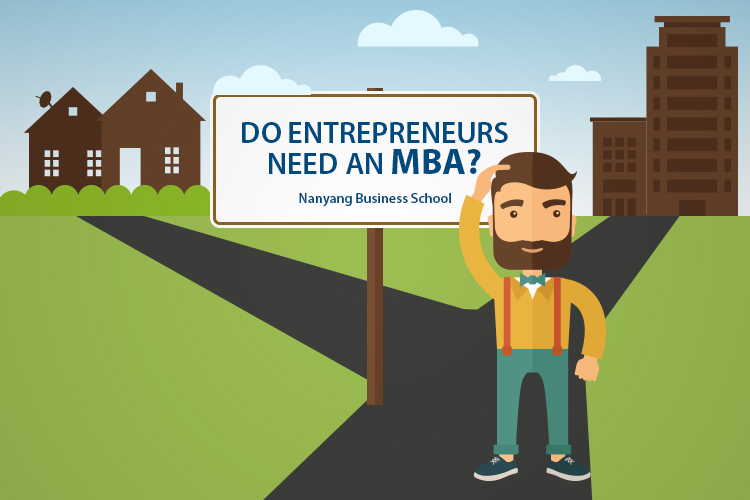 While brushing up on the basic concepts of business, talking to the alumni and researching the professors that you would be studying under would definitely help; you could also prep for B-school by reading a bunch of business books. 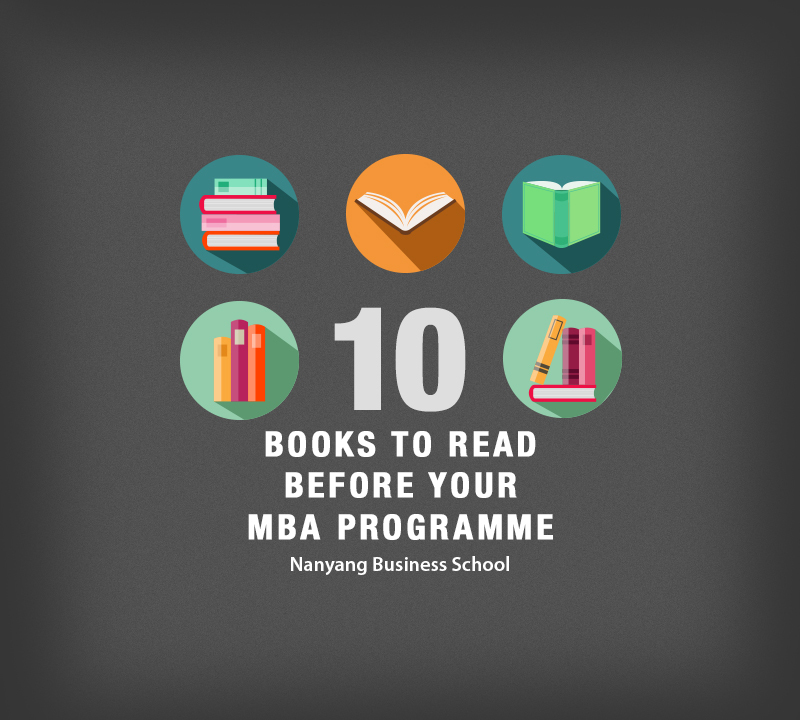 Here’s our set of recommended reads before you embark on an MBA programme. One of the bestselling books on finance, Rich Dad, Poor Dad, by Robert Kiyosaki is a must-read for anyone who dreams of building wealth and achieving financial freedom. The book recommends various means to secure financial independence: investing in real estate, starting up and owning businesses, etc. 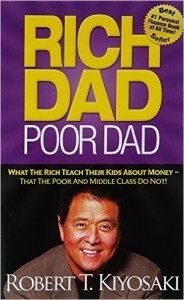 The book is based on Kiyosaki’s childhood upbringing and how the differences in the attitudes of two men (his “rich dad” and his “poor dad”) towards money, work and life, influenced his decisions in life. Traditional methods of marketing such as TV advertisements and online pop-up ads often involve attracting the customer’s attention away from whatever they are doing – watching television or viewing a website. 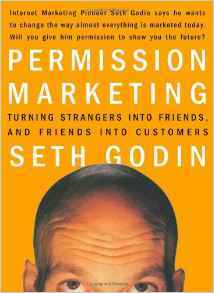 Marketing guru Seth Godin reveals that the traditional ‘interruption marketing’ have become less effective in the modern world, where consumers are overloaded with information. For brands to attract their consumers, they must adopt ‘permission marketing’, which involves selling goods and services only when the consumer has given his/her consent in advance to receive the marketing information. 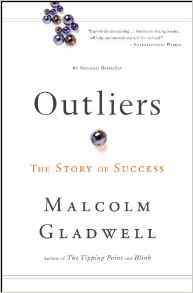 Not a typical business book, but Malcolm Gladwell’s Outliers is a must-read for anyone who wants to understand the dynamics of professional and business success. Pondering over – ‘what makes high-achievers different’, Gladwell sheds light on the fact that we pay too much attention to what successful people are like, and too little attention to where they are from – their culture, family, generation, and other factors that may have contributed to their success. 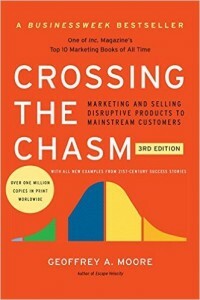 Crossing the Chasm: Marketing and Selling Disruptive Products to Mainstream Customersis a bible for marketing in high-tech industries. According to Moore, there is a gap that exists between the early adopters of high-tech products (the technology enthusiasts and visionaries) and the early majority (the pragmatists). The visionaries and pragmatists have different expectations, he adds, and this book aims to explore that set of differences and suggest techniques to successfully cross the chasm. 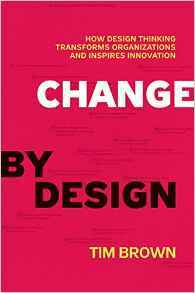 Design thinking is not just applicable to so-called creative industries or people who work in the design field. It′s a methodology that can be used by organisations to improve the quality of their service and rethink their business strategy, according to Tim Brown, the CEO of IDEO. In this book, Brown introduces a human−centric approach to problem solving that helps people and organisations get more innovative and creative. 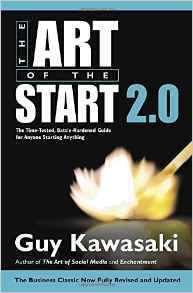 The Art of the Start by Guy Kawasaki is an essential guide for anyone starting anything, be it a home-based business, a multinational corporation or a community group. The book provides insights into the various aspects of starting up such as raising money from investors, hiring the right people in the team, defining the brand and building a community around it. 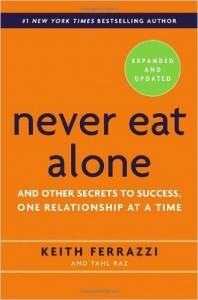 In this bestselling book on business networking, master networker Keith Ferrazzi provides insights into the role of relationships in the success of a business. Ferrazzi shares the specific steps and the inner mindset he uses to connect with the thousands of colleagues, friends, and associates on his contacts list, people he has helped and those who have helped him. In the new age of digital media and online connections, Ferrazzi’s advice is even more essential for those wanting to get ahead in business. 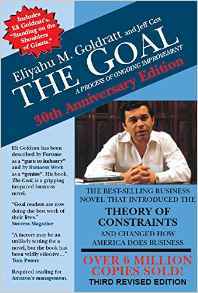 A gripping business novel by business consultant Eliyahu M. Goldratt, The Goal: A Process of Ongoing Improvement is about the Theory of Constraints, and overcoming the barriers to making money. The book features key insights on identifying and solving the problems created by constraints. 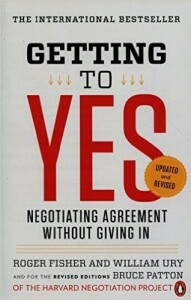 One of the best books on negotiation, Getting to Yes is based on the work of the Harvard Negotiation Project, a group that deals with all levels of negotiation and conflict resolution. The book offers proven, step-by-step techniques to arrive at mutually acceptable agreements in every kind of conflict. 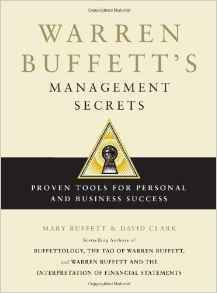 Written by Mary Buffet, after having gained insights into Warren Buffett’s philosophies for management, while being married to his son Peter for twelve years, Warren Buffet’s Management Secrets looks closely into Warren Buffett’s life and career, shedding light on his decision-making processes, leadership qualities and strategies that made him the most successful investor of the 20th century. What are your favourite business books? Don’t forget to share your recommendations in the comments below.